The Digital Game Artist Certificate program trains students to become professional video game artists. 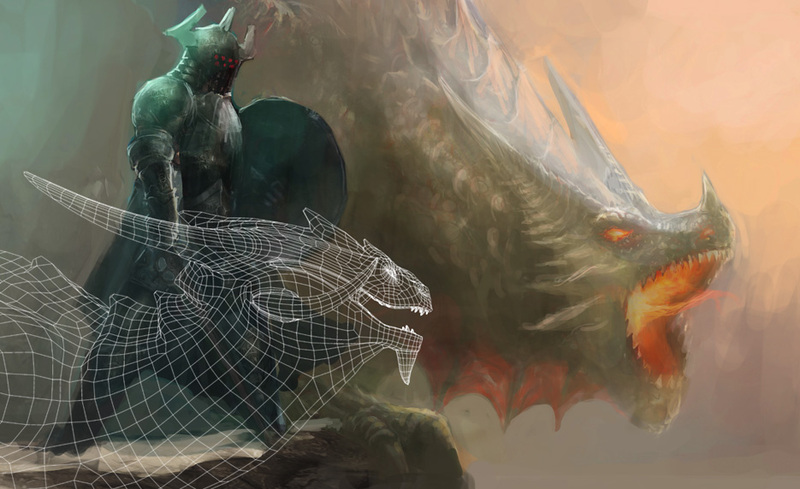 Training centers around developing core skills for jobs related to Digital Art, 3D Art, Modeling, Character Design and Environmental Art Design. Once completed, students will have multiple employable skills including modeling game props and characters, importing required elements into game specific software, animation of game assets, and more. Upon program completion, students will enter the field at or above industry level standards. This is not like most courses which tend to be ‘all-purpose’ programs. This is a skills-specific program which will teach the key components and competencies needed to excel in positions related to 3D Art for Games and Environmental Art for Games. This program goes beyond software and game related techniques, and touches on just about everything, including general design and concept art. Students will learn the fundamental principles of what makes good art great and the key social aspects needed for continued growth and professional development. This program focuses on developing individuals to compete for jobs in the Digital Art, 3D Art, Modeling and Environmental Artist positions. These individuals, upon completion of the program, model game props and 3D assets, import required elements into game specific software, understand high to low baking of models, surface application/creation and the animation of game assets, and much more. The primary goal of the program is to ultimately display industry standard art skills within a portfolio. This is not an “all purpose” or general training program. The competencies are specific to the positions related to 3D Art for Games and Environmental Art for Games. While most areas needed by professionals in this program are covered (lighting, animation, character design, concept art, professionalism, etc.) game asset creation is the focus of the majority of course content. Students must have basic computer literacy (e.g., ability to use the internet, open/close programs, install software) prior to enrolling in this program. Christian Bradley is currently the Director of Curriculum Development for Digital Media at the Art Institute of California, Orange County campus. Prior to that, Christian worked as an instructor and Academic Director of Game Art and Design at the Art Institute of California, San Diego from 2003 to 2015. Before teaching, Christian worked for over twenty years as an environment artist and texture artist doing PC, console, and online game development. He has worked on over 35 commercial video game titles for various formats, including PC, and the Sony, Microsoft, and Nintendo consoles. Before developing a freelance business of his own, Christian worked in-house at Interplay, The Dreamers Guild Studios, and The Collective Studios. While in-house or contracting, he worked on titles spanning a variety of genres including multiple entries in the Star Trek and Unreal game series. Some of his clients included: Activision, Interplay, Digital Extremes, Legend Entertainment, Codemasters, and Totally Games.